C., Julie. 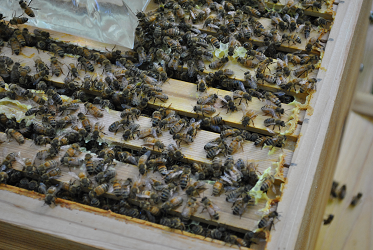 “7 Top Methods For Bee-Friendly Pest Control.” Off The Grid News. N.p., n.d. Web. 10 July 2017. “CATCH THE BUZZ – Honeybees Pick Up ‘Astonishing’ Number Of Pesticides Via Non-Crop Plants.” Bee Culture. N.p., 27 June 2017. Web. 10 July 2017.